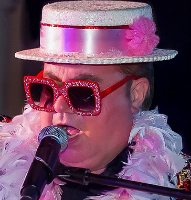 For years, at corporate events, as conference entertainment, in concert halls, casinos, nightclubs and theatres across North America, Canadian keyboard wizards Jeff Scott and Jeff Brewer have been keeping the legendary music of Elton John and Billy Joel alive, for wildly appreciative fans. Just not on the same stage, at the same time. 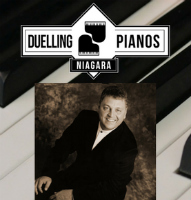 They got to know each other on the U.S. casino circuit and often toyed with the idea of putting together a “dueling pianos” show. But the incredible response to Elton John and Billy Joel’s “Face to Face” tour sealed the deal. 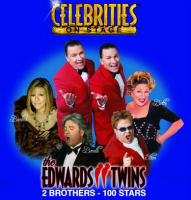 They realized that re-creating this exciting new style of show was what they were born to do. 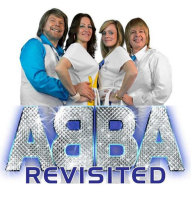 Flashy costumes, flashy piano playing and instantly recognizable songs are the essence of the show. From “Your Song” to “Crocodile Rock”, “Only the Good Die Young” to “Uptown Girl”, the songs are a brilliant mix of songs audiences can’t help but sing along with. In a mock “UK vs. USA” contest, they battle it out, playing hit after hit, side by side at their pianos, audience members cheering on their favourite. But, carried along by the hit-packed repertoire of Elton John and Billy Joel, the rivalry is soon forgotten and they’re singing along and cheering for every song. Unless specificially requested, The Billy Joel Elton John show has no orchestra, back-up singers or pyrotechnics, just two talented entertainers rocking out with some of the best-loved pop songs of all time. And audiences from Las Vegas to Halifax say that’s just fine with them. 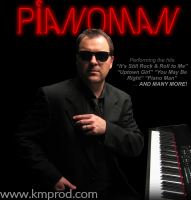 Face 2 Face - The Billy Joel Elton John Tribute Show is represented by K&M Productions (Toronto). 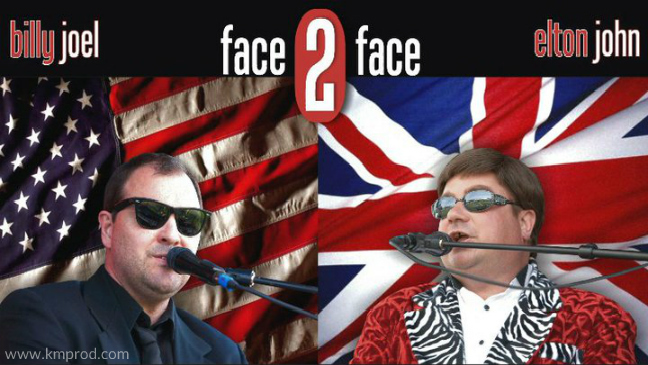 For more information, * fees, & booking the Billy Joel Elton John Face 2 Face tribute show, contact us. It was a great show & our entire audience were completely engaged! 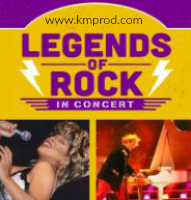 Thank you to K&M Productions!